In an Exchange environment that has been upgraded several times, the old “active” servers may be kept in case something has been left out. If for some reason, the old servers have not been decommissioned and it is no longer possible to do so, we can have blockages in the administration (basic removal …). 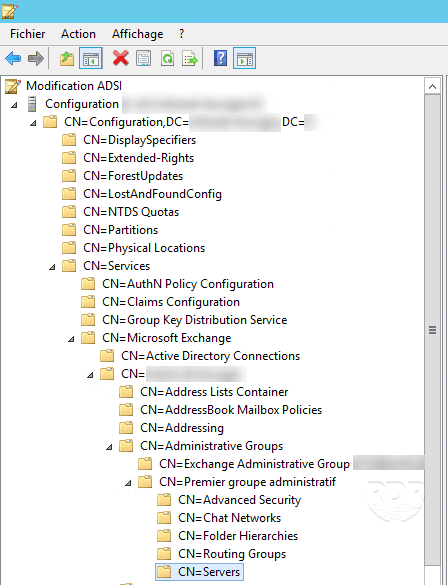 It must be deleted in the server-related entries in the Active Directory configuration scheme. 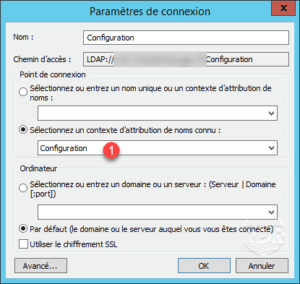 The following steps are to be performed on a domain controller. 2. 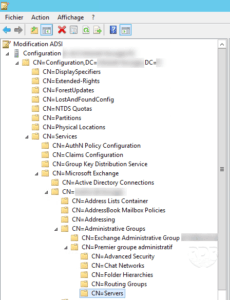 Develop the following elements: Configuration / CN=Configuration,DC=xxxx,DC=yy / CN=Services / CN=Microsoft Exchange / CN=Nom_Organisation / CN=Administrative Groups / CN=Nom_Groupe_Administratif / CN=Servers. 3. Right click on the server 1 to delete and click on Delete. If you had deadlocks on basic delete actions or object linked to this server, they are now resolved.